Pattern Testing: Princess Party Dress by Mandy K Designs | Stitch.... and Bake!!! My daughters are currently obsessed with the new movie “Frozen”. Well, I guess that most little girls have this same obsession right now. Anyway, they both wanted an Queen Elsa dress for dress up. I recently had the opportunity to test a pattern for Mandy K Designs, before it was released for sale. The pattern is called The Princess Party Dress and is available on Craftsy for purchase. Here is my take on the dress, this is for my 7yr old. She loves it, and it fits really well. This pattern would be perfect for any of those “princess” dresses or costumes that your little one asks for. 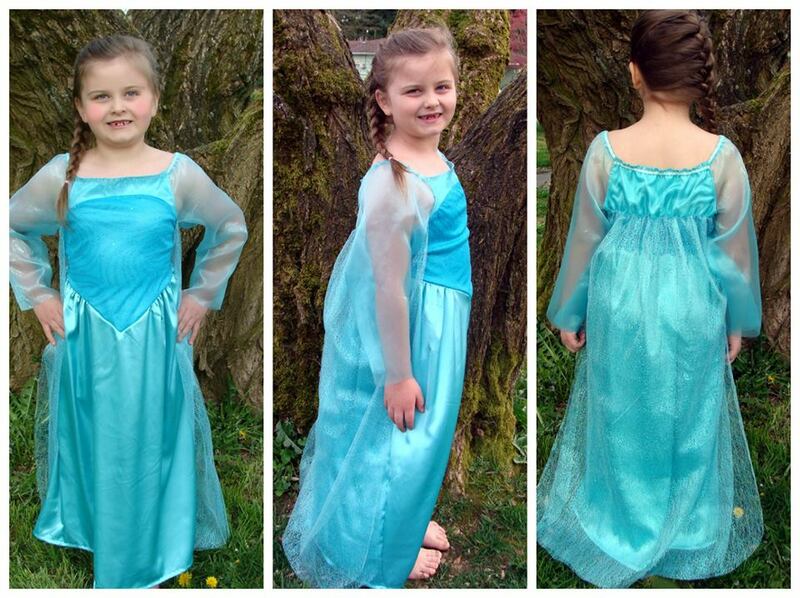 This entry was posted in Sewing and tagged dress up, Elsa dress, Frozen dress, ice princess, Mandy K Designs, pattern testing, princess dress, Queen Elsa dress. Bookmark the permalink.